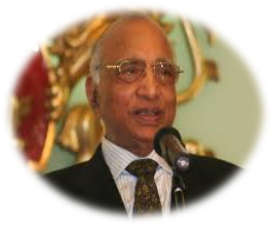 The Gita Mittal Foundation is a not for profit organization, established by world renowned Mittal family. 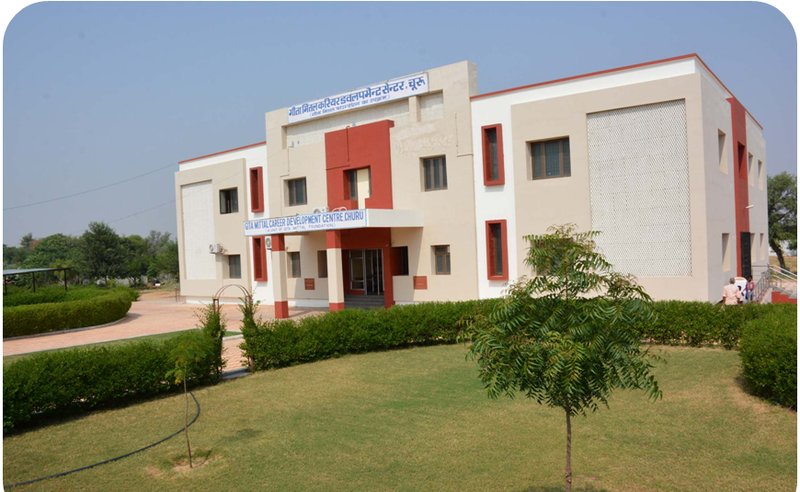 The Foundation has established 3 Skill Development Centres, situated in Rajgarh(2007), Jaipur(2010) and Churu(2014) respectively with reasonably good infrastructure having as its aim to enhance skills of the youth of Rajasthan, especially for those who are from relatively deprived family background, so they can earn their livelihood either through self employment or by being gainfully employed. 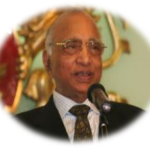 We have been engaged into various skill development projects of Government of India and Government of Rajasthan. Through these projects a lot of youth have been benefited and earning their livelihood successfully with a reasonable satisfaction. 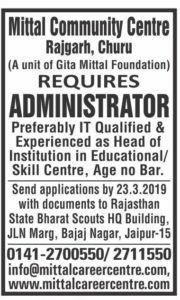 Applications are invited for the post of Administrator. Candidates should send their resumes at info@mittalcareercentre.com or you may contact 0141-2700550 , 2711550. 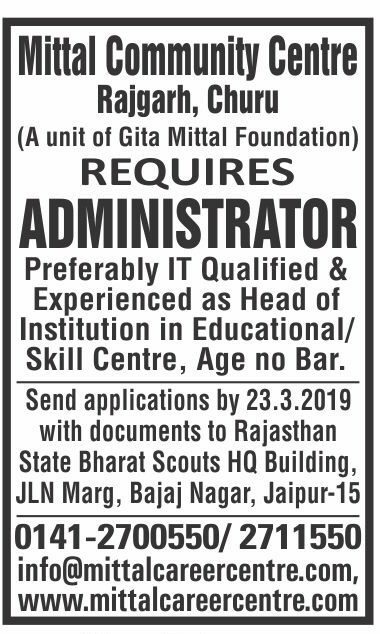 Job Location:- Mittal Community Centre,Rajgarh ,Churu, Rajasthan 331023. 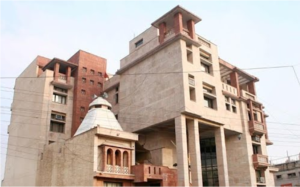 The Gita Mittal Foundation contributing through cutting edge training to the educated youth, preferably graduates, in Rajasthan so that they would be able to secure reasonably good employment, within the state, in the country and abroad. We need to setup ‘Centres of Excellence’ that will help in poverty alleviation and also help the youth to find good employment or become self employed. 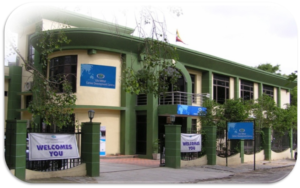 Our aim and objective is to provide such facilities for the youth, both boys and girls. There is tremendous need to train youth in IT, Communication skills in the English language and in soft skills so as to create a suitable workforce that can cater to the demand of industry, both in India and abroad. Employment of the youth will indeed create prosperity in the State. This will be a big revolution for the Country.